With the ever-growing amount of student loan debt that young people are struggling with these days, it’s vital for soon-to-be college students to figure out ways to cut college costs. We all know that discovering the availability of student loans, grants, and college education funds are crucial to a financially stable college journey. Here are four different ways to cut college costs and help ensure that you graduate with the smallest amount of debt possible. There may be a load of pressure on you to go to college, but college is not for everyone. What are your career dreams and aspirations? If you’d be much happier being an auto mechanic than an auto mechanics teacher, don’t waste precious time and money getting a teaching degree. Instead, determine what you’d love to do with your life, and figure out a way to make that happen. So many adults have college degrees that they don’t use in the least in their current career. Determine if you truly want to go to college, and if so, what degree makes the most sense given your passions and talents. There are ways to earn a college degree that can be a huge cost savings compared to traditional colleges. PSEO classes in high school grants college credits that are paid by the state. CLEP programs allow students to study for and then test out of certain credit requirements, at a fraction of the price of taking the actual college course. Online schools also allow certain classes to be completed at a discount compared to going to school on campus. If you’ve determined that college is for you, look for ways to help cut costs by looking into some of the college alternatives. Private universities generally cost more than a state-run school, but sometimes the private schools offer more in scholarship and grant money too. Also, depending on which school you choose, there may be varying costs when it comes to living expenses. “A” college might be a bit less expensive, but its cost of living may be double that of college choice “B”. 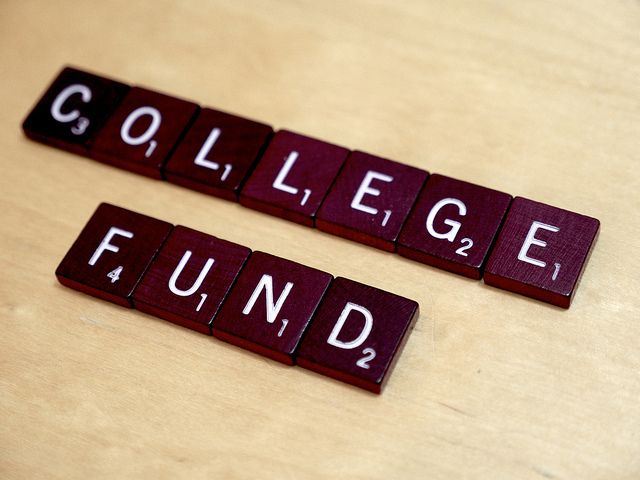 When deciding on a college, research every cost and option for help with funding at each individual school that you’re interested in before you make your final decision on which college you’ll attend. Don’t simply look at tuition price alone. When deciding on the college you’ll attend and the major you’ll choose, it’s vital to think long-term. For instance, could you go to a community college for your first two years of college, and then graduate from a university, saving thousands of dollars in the process? Speaking as a parent, this is only the beginning of thinking of how we can prepare our children for college. Also, it’s important to consider the cost of your college degree vs. the earnings rate of the career you’ve chosen. Work to match up the major you’ve chosen with the most economical way to get your degree in regards to the earning rate your career will provide. Considering these questions before you choose your college will help you make wise financial decisions regarding your college degree. If a college degree is a dream of yours, don’t give up that dream. Just make sure you achieve that goal in a way that will provide you with the most economic stability you can achieve. If you’re looking at the distinct possibility of needing access to student loans to fund college then do so wisely. There are options available, like Achieve Lending, that can help you either find the lowest rates available or consolidate outstanding loans to get better rates. What out-of-the-ordinary ways can you think of to help reduce college costs? Do you think college degrees are a necessity in today’s work world? Your first point is the most important in my eyes. Not everyone is meant to go to college. Just like not everyone is going to get married and have kids and not everyone is the right fit for buying a house instead of renting. You have to figure out what makes the most sense for you. If college isn’t your thing, that is OK, you just need to figure out how to get the skills/education you need so that you can land a decent paying job. My one good friend wasn’t college material. There is no way he would have lasted 4 years and earned a degree. Instead he went to a trade school, learned how to fix cars and now makes really good money. I have another friend that felt the same way about college and went to truck driving school and makes good money there. The pressure to go to college is huge, but it isn’t the end of the world if you don’t go/it isn’t for you. Take the time to figure things out before going to college as it can be a very costly mistake. Love the examples you’ve shared about your friends, Jon, and I completely agree. This goal of some educators to insist everyone get a college degree is a shame. Where would the world be without mechanics, truck drivers and garbage haulers? They provided valuable and needed services to our world! Agree with alternative ways to college – there are a lot of online courses available nowadays. This can help you work full time while continuing your studies on the side. Exactly! There are many alternatives to a brick and mortar school, even if one decides college is for them. I am a huge fan of state colleges. With the cost of an education today, it’s really difficult to rationalize that a private education will get you a good return on investment. Most of people’s job success is due to networking and state schools have much larger networks (especially if you live in the state post college) than private schools, not to mention the HUGE tuition cost savings over 4 years. Great insight, Shannon! Yes, it’s amazing; those little details (like the availability of networks) make a big difference that goes far beyond the simple cost of tuition. I cut my college costs by taking more hours/sememster and transferring credits from a local community college. I was able to save myself a year’s worth of university tuition and living expenses. LOL, you and my mom would have a blast together doing Jeopardy wars. 🙂 Seriously, though, I think all too many people are in the same boat as you: they were taught simply to go to college and get a degree for the sake of having a degree. We need to do better by our children and help them to make more informed decisions about post-secondary education. Thanks for a useful and wise comment, Gary! Yea, definitely getting a college degree is really a necessity. I was just lucky that I was an academic scholar for four years. Everything from tuition fee to miscellaneous fee was covered by the scholarship I subscribed to. I just needed to meet the grade requirements, voila free education. I think another mention should be to go to school for something you really enjoy doing. I have a degree in something that I “like” doing, but something that I don’t necessarily love.